Encoding word senses: paper dictionaries, thesauri, machine-readable dictionary, computational lexicons. WordNet. 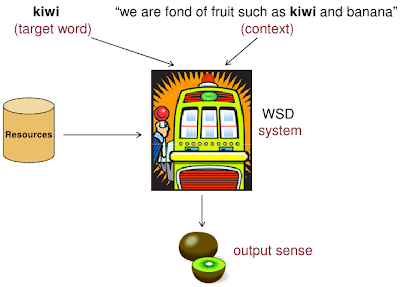 Introduction to Word Sense Disambiguation (WSD). Homework 2: supervised and knowledge-based Word Sense Disambiguation.